or, taking the bull by the horns. France is not a very big place. It’s smaller than Texas by 8,000 square miles, but has a variety of terrain, food and accents to rival the entire United States. During my three trips to France, I got to nibble away at the expansive culture by seeing Paris (the Big City), Provence (the South), Bordeaux and Lyon (small cities), Carcassonne (almost Spain), and most recently, the Loire. Or should I say, there where many a French noble hath laid his head. 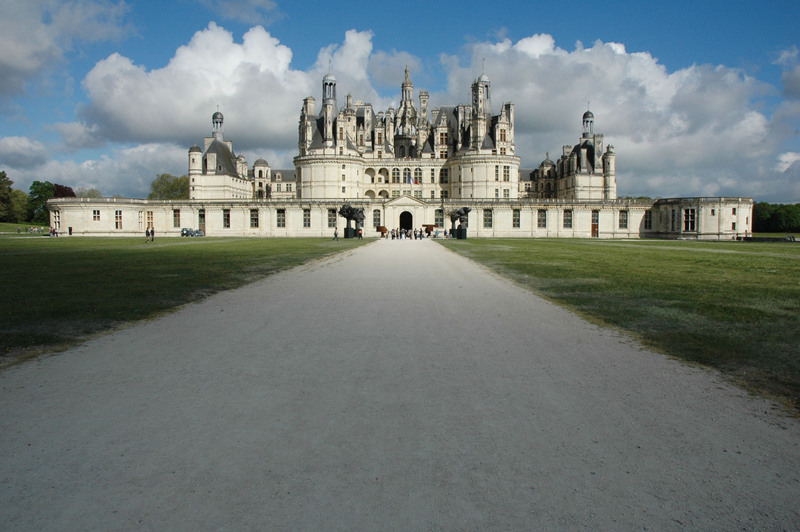 The Loire Valley is famous for two things: chateaus and wine. The Brit and I got our fill of both in the four windy days we spent there earlier this month. And we did it all without a car! We stayed in Blois for the first night, in a rather sketchy hotel, where the concierge insisted we were married, even if we hadn’t had a ceremony, because being in a committed relationship was the equivalent of being married…let’s not get me started on his logic (or lack thereof)…point is, Blois itself is a quaint town, with a charming castle and nice views. Not at the top of my list of places we visited, though the brick portions of the castle took me straight back to Place des Vosges in Paris, one of my favorite places in the world. 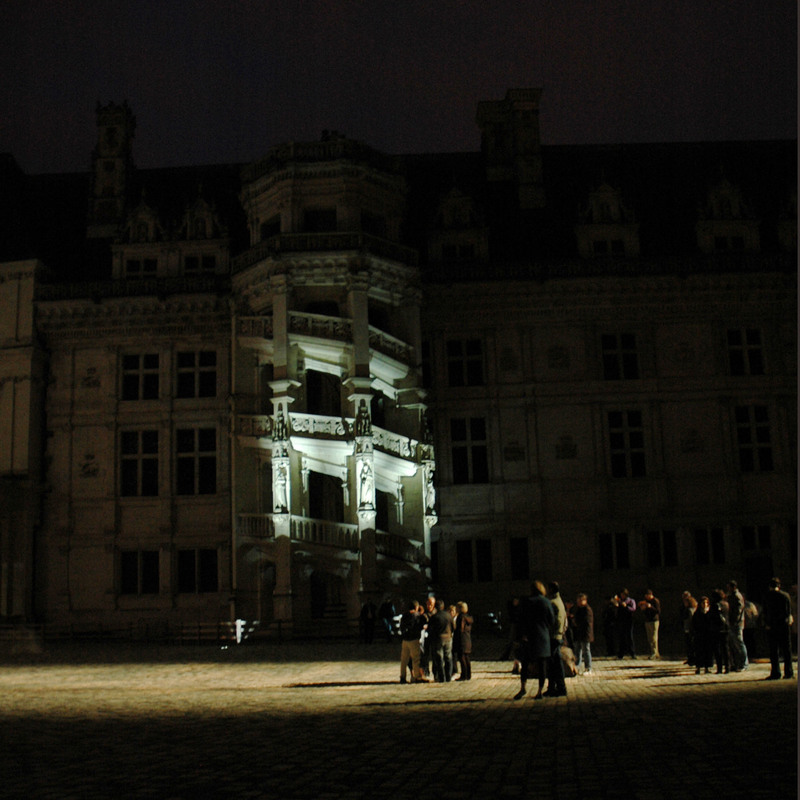 One thing Blois did well was a sound and light show that projected images directly onto the Chateau's walls. It was in French, though...so bring a translator. On day two we left our bags in the hotel, while we hopped on a bus to see two chateaus, one more famous (and beautiful) than the other. Chambord was everything I imagined it to be. Enormous. Incredibly beautiful. Drowning in history. Did you know it once housed the Mona Lisa during WWII, when the French (smartly) decided to move the Louvre’s contents to keep them away from a certain mustachioed Nazi? 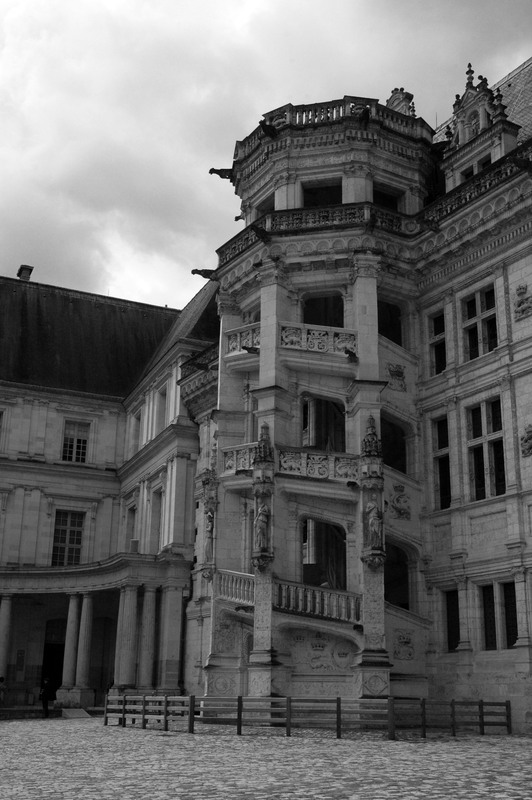 Cheverny wasn’t as beautiful. Which is why I don’t have pictures. But, right outside Cheverny, the Brit and I did a quick wine tasting of the local offerings, two whites, a rosé and a red. Incidentally, before this last stay in France, I wasn’t a fan of whites or rosés…a couple of picnics in the springtime cured me of that nonsense. Rosés and whites are perfect spring picnic basket fillers. We spent that night in Tours, in a very charming hotel, a polar opposite of the one we’d just left. Our concierge guided us to the only street open for food on a holiday, and we had one of the best meals I’ve had in France – all local food, all exquisitely prepared and presented, and accompanied with a local red. Mmm. The next day, we wandered around Tours for a while, and the chill forced me to buy a coat. I had no choice. Eventually, we took the train out to Chenonceau, where I slightly overestimated the amount of time we’d need at the chateau. It’s quite small, but it certainly does deserve a photo. It reallywas a blustery day (I should’ve bought two coats), and I wish we could’ve stayed longer, but the chill sent us running to take the train back to Tours. 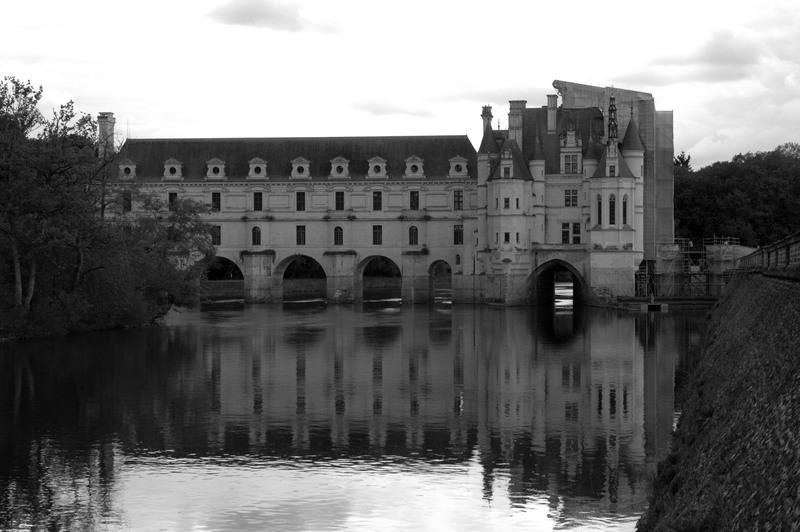 Chenonceau floats on water. Oh, and it's equally beautiful on the interior. The next morning, the Brit and I made a fateful decision. 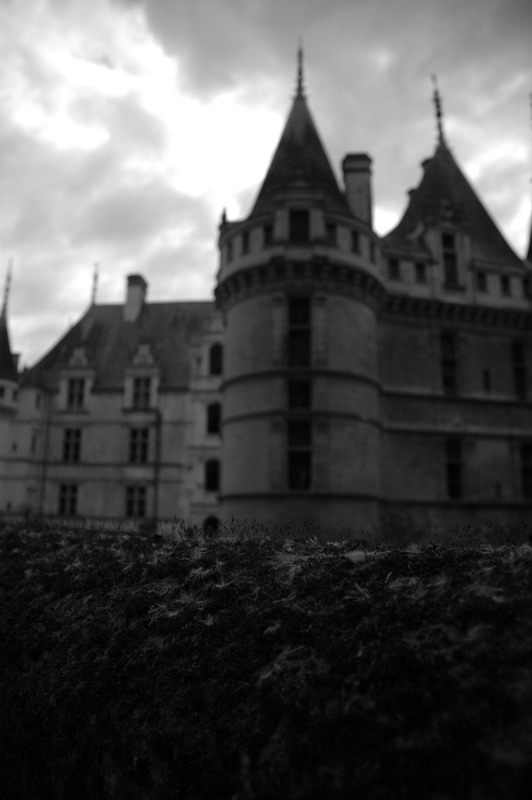 We did not want to take the train, and we did not want to take a bus, but we did want to visit chateaus. So, we rented bikes. I had not ridden a bike in over 11 years. My last bike was stolen when I was 10, and for every year I didn’t get a new one, my fear of falling off a bike grew exponentially, until I was convinced that the expression ‘like riding a bike’ would never apply to me. Turns out, the expression isn’t as easy as it sounds (who would’ve thunk), but after several start-stops and almost getting run over by traffic, I managed to stay (mostly) on the bike for the 50 miles (I kid you not) we rode that day. 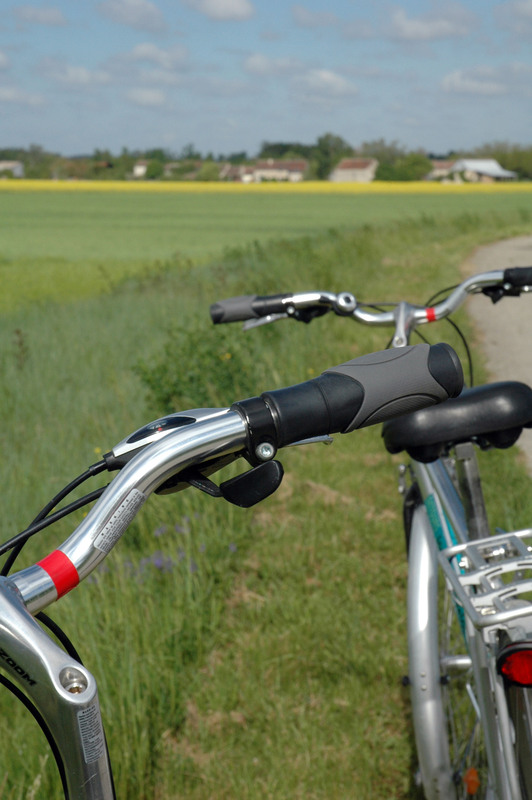 On bike, we visited Villandry and Azay-le-Rideau. 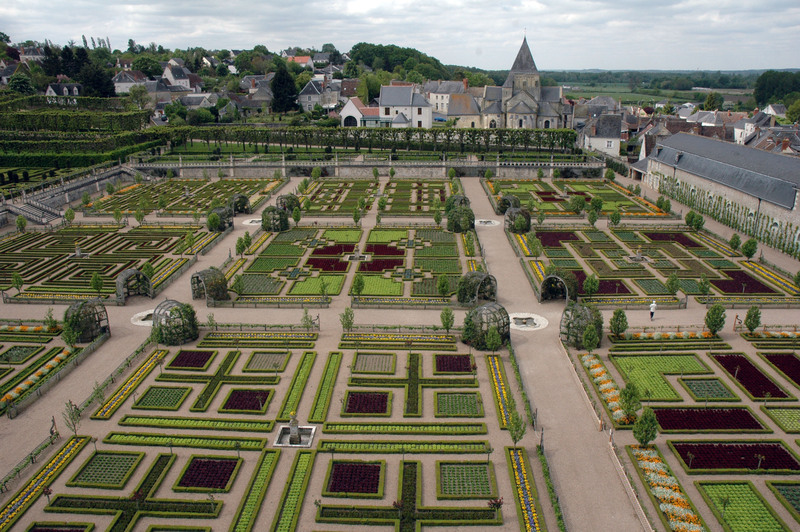 Villandry has beautifully sculpted French gardens that, in my opinion, rival those of Versailles. Azay-le-Rideau has a more quiet charm, set on water in the midst of English gardens that make you believe you’re in the middle of a fairytale, something along the lines of Beauty and the Beast, but after the Beast becomes a prince. Sure, Villandry's chateau is nice. But the gardens are much nicer. Did I mention we biked 50 miles to get to these two chateaus? Here’s proof. And if you want actual proof of the distances, here’s Google to the rescue (keep in mind, these are the more direct routes…our path was a bit more meandering…). The second half of the ride was a bit more tenuous, as we were pedaling on a ridge with headwind that blew us to a stop several times…but we made it back to Tours, and after much deserved hot showers and carb-loaded dinners, we passed out in our charming cream sleigh bed. That was the (exhausting) end of our Loire Valley trip. The next morning the Brit and I packed our bags and dashed off to Paris to grab the Eurostar to London, where I went to the beach. Sort of. But that’s a story for another post. Read about the Fox in your Inbox! How does an architect sigh? Woah-oh, we’re more-than-half way there!